I made this guide to point out why the other guides can only make your performance worse and causing the stuttering problem. I will explain what each setting does from my findings and days of testing. most of this i wouldn't be able to do thanks to everyone posting solutions these past few days for the NEXT update. 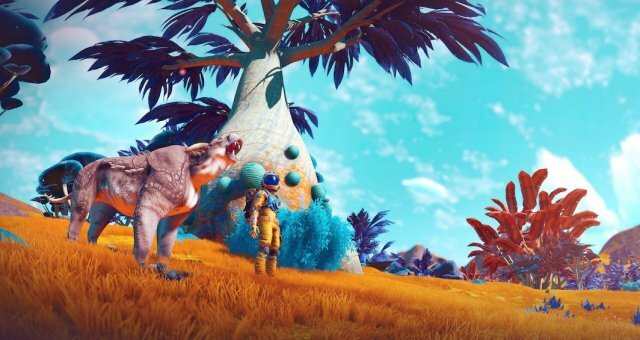 Tweaks can be made to your TKGRAPHICSSETTINGS file located in your: \Steam\steamapps\common\No Man's Sky\Binaries\SETTINGS folder. NumLowThreads stands for low priority threading, it handles stuff like terrain generation, textures, 'AI', and other non-essential processes like loading files/textures/scripts. Leave this to its default value is probably for the best. if you want to tweak it try setting it to 0 or 1. Borderless VS Fullscreen: In general fullscreen will always give better performance because other windows applications will go on a break, while in borderless mode, everything stays fully active. 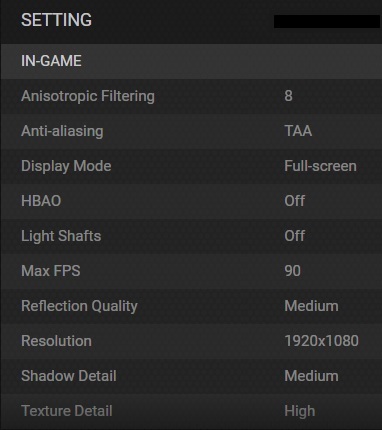 Right now i find this to be a good middleground for the game to run on, if you notice your pc has no problems running with these settings, improve from there. You'll also want to make sure to set Mouse Smoothening in the gameplay setting to 0 as it will only increase input lag. Also make sure to DISABLE Vsync in the game, and let your videocard handle it instead! Framerate could just be set to MAX as your videocard will set the framerate to your monitors refreshrate on its own. Set Vsync to ON (or addaptive if it jumps from 60 to 30 constantly). Set maximum pre-rendered frames to 1. These 3 should greatly help with stability in the game. You could also set Power management mode to Maximum performance if you havent already. The game is being optimized and patched every day, memory leaks and garbage collection are being fixed so it is quite possible this guide will quickly become obsolete. I hope until then this will be helpful to some of you! If you dont like the changes, forgot any default values or want to start fresh? Simply delete the TKGRAPHICSSETTINGS file and it will generate a new one upon starting the game.